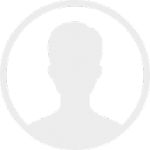 Best Orthodontist NYC - Orthodontic & general dentistry for children, teens and adults. State-of-the art NYC dental care. Manhattan Family Orthodontics offers state-of-the art dental care in a modern, relaxed environment. Our professional team of orthodontists are skilled in providing treatment to children, teens and adults. We have made a commitment to be a leader in orthodontic treatment by employing the best technologies that facilitate patient care, maintaining a safe and comfortable office, and learning about new advances in orthodontic and dental treatment. What are the options & costs to straighten teeth? All different people require different kinds of treatment. Regardless of how severe or slight your teeth misalignment is, there is a solution for straightening your teeth. 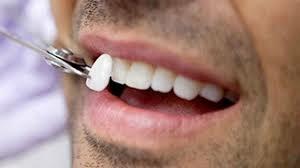 We are able to talk with you and analyze the growth of your teeth in order to determine the best option for you. There is often not only a single option, unless your case is severe, and this way you can chose between multiple selections depending on which would benefit you and fit best into your lifestyle. In order to understand the different options for teeth straightening and the costs associated with them, keep reading below for more information. There are two significant options that stand out when looking to straighten your teeth. These, while both significantly different, can greatly benefit different individuals. These two options are split into subgroups. 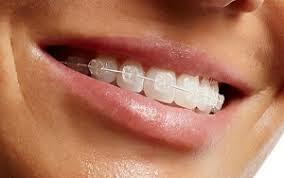 First of all, the most common option for teeth straightening is receiving braces. 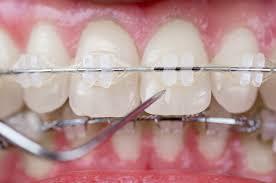 Braces gradually move and shift your teeth into place through the use of either wire or retainers. This may be more costly and time consuming compared to the second, less permanent option of veneers. Veneers can help fill gaps and reshape your teeth giving the illusion that your natural teeth are perfectly straight and shaped. Let’s take a look at both options more significantly. A less common option for teeth straightening is veneers. These are a type of composite used to fill gaps in the teeth which give the appearance of having straighter, more aligned teeth. These do not actually fix the problem, but are more of a band aid over the issue. With veneers, you can expect to pay up to $2,500 per individual tooth, which is more expensive than typical braces. For a better option, check out traditional braces. 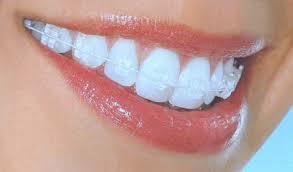 Braces, as mentioned previously, are the most common form of teeth straightening that we use. 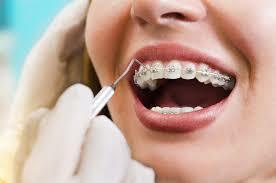 There are various types of braces that determine the cost. 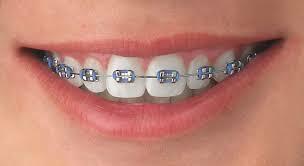 For example, traditional metal braces use metal brackets and wires fixed to the tooth. Every four to six weeks, you’ll visit us for an appointment and get the wires tightened. These can cost anywhere between $3,000 and $7,000 for the entire treatment. A similar option for braces is seen in ceramic braces, which operate identically to how metal braces do, but use a ceramic material instead. This allows them to blend in with your teeth easier, giving a more invisible look. You can expect to pay from $4,000 to $8,000 for this treatment. For the most seamless, invisible braces available, both lingual braces and clear aligner trays are available. Lingual braces are placed on the inside of the tooth, and clear aligner trays utilize retainer like plastic to gradually pull the teeth into place. Both of these give the look of having no braces, and they can cost an average of $6,000 plus. Regardless of the type of braces you desire, we can help you out. The best way to be happiest about your teeth and smile is by visiting the best orthodontist in New York City.  Manhattan Family Orthodontics is a great provider of orthodontics and is sure to lead you in the right direction. Get the smile of your dreams today by booking an appointment for a consultation. Have you ever asked yourself what is the history and types of braces there are? After archaeological excavations of ancient civilizations, archaeologists have been able to determine that dental care was a significant factor in the lives of many throughout much of time. While straight teeth may seem like a modern concern due to aesthetic purposes in the ages of media, the purpose was not just for this reason in the past. In order to understand how orthodontics and braces can positively impact your life, you must begin with the earliest of beings. Keep reading below to understand how modern-day orthodontics evolved from ancient civilizations and past cultural uses of braces. Plenty of archaeological excavations have led to the identification of braces on mummified individuals. When a mummy is created, they are embalmed to preserve the body and then wrapped to maintain as much of their natural characteristics as possible. This was a popular tradition in ancient Egypt. Because of this, people have been able to determine how braces were used in their past culture. Their braces were quite unique, being metal wires wrapped around the teeth. These would be tightened and pulled into place. 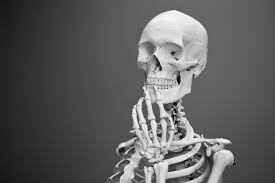 It is thought that braces were used to increase the aesthetics during burial of high ranking and respected individuals in order to improve how they looked to the general public. Ancient Egypt is the earliest civilization we have traced back to that used a form of braces. Thankfully, since then, our practices have become more modern. The next advanced form of orthodontic braces seen in history was in the times of ancient Rome and Greece. These were used when the individual was alive, compared to Egyptians who used them as a burial tradition. A man named Aulus Cornelius Celsus theorized how teeth can be pressured and forced into a different oral place with pressure. This was widely discarded as a good idea because this idea was not widely accepted at the time. 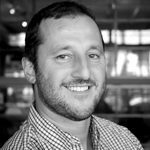 Once time passed, he began practicing and writing down his findings, placing palate expanders in patients’ mouths, and recording the results. People began to catch on over time, and orthodontic practices significantly grew. Over time, orthodontics has greatly improved and been reformed to create comfort and convenience for the patient. Now, because of all of the advances made by ancient civilizations and our past people, we have been able to perfect the idea of braces. Braces in modern day are most commonly seen as brackets fixed to the tooth, connected by wires, that are gradually tightened every four to six weeks. Other alternatives exist, though, for people who don’t want to have metal affecting their smile. Options include ceramic braces, clear braces, and aligner tray braces. All of these are great for different cases and people depending on their lifestyle and what they’re looking to improve about their teeth. Modern braces have significantly improved since our past humans’ creation of them, and because of it, people can receive beautifully straight teeth. If you have teeth that are misaligned, have gaps between them, or suffer from overcrowding, braces could significantly benefit you. Thankfully, since the practice of orthodontics and idea of braces has improved over time, you’re sure to get the best treatment possible. To ensure you receive amazing results, the best orthodontist in New York City, Manhattan Family Orthodontics, can help you out! Schedule an appointment with us today to discuss how we can improve your oral health and teeth alignment. Are you worried about the alignment of your teeth? Do you look in the mirror and wish your teeth were straighter? If so, you may benefit from braces. 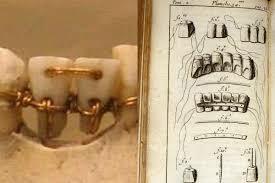 Braces have been being used for hundreds of years and can even be traced back to times of ancient civilizations. They have been used to aesthetically align the teeth and produce a greater look and smile. Regardless of how angular your teeth are, or how minimally staggered your teeth may be, there is a kind of braces for you. If you’re considering visiting an orthodontist to determine whether or not you may qualify for braces, go into the appointment with more knowledge! Let’s take a look at how you can determine if you may need braces below. Everybody’s mouth is different, meaning that there are various reasons people may need braces. 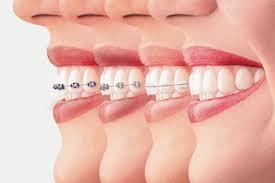 One of the most common reasons that people require braces is because of having either overcrowded or crooked teeth. You can tell you have this by looking in the mirror and seeing if some of your teeth stick out in front of or behind others, or if some of your teeth are angled. 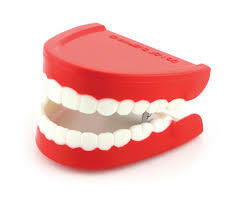 With this, your teeth wouldn’t look straight. A second reason people may need braces is because of jaw or oral bone structure issues. One thing that people don’t know is that braces and orthodontics can fix the alignment of your jaw. Jaw misalignment or bone structure issues can harm your overall oral health, as it directly relates to the overall strength of your teeth. There are plenty of other reasons, more individualized, that may require you to need braces as well. 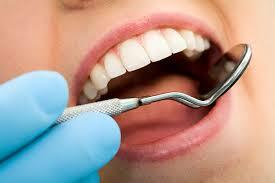 We can discuss this with you and analyze your oral condition upon your initial appointment. What Kinds of Braces are Available to Me? If we have determined you would benefit from braces, there are many different types of braces that you may benefit from. Different kinds of braces are better for different people, so during your appointment or consultation we can determine which is best for you. For your knowledge, though, the most common forms of braces include traditional metal braces, ceramic braces, lingual braces, and clear aligner trays. Depending on how severe your case, you may not be able to receive some of these forms of treatment. 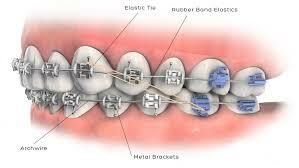 Looking in more depth, traditional braces are the most common form you picture when you think of the word braces. These are the cheapest option, but don’t conceal well. For a more hidden view, ceramic, lingual, and aligner tray braces are perfect. Once we determine you need braces, we can help you choose the type that works best for you and your lifestyle. For one of the best orthodontic treatments in New York City, Manhattan Family Orthodontics is here for you. You can schedule a consultation appointment with us to let us determine how severe your case is and discuss your potential braces options. Be sure to contact us today to receive the straightest teeth of your life! 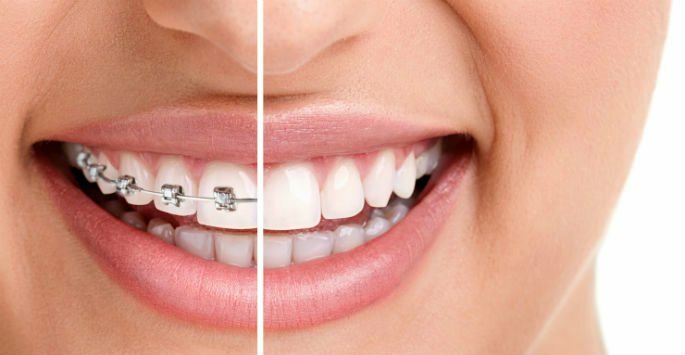 Who wins in the battle of clear vs metal braces? If you’re in the market for braces, you may not be aware that many forms of braces are available. In the past, there used to be only a single braces option, known as the traditional metal braces, available for patients. These were used since early civilizations in order to straighten teeth for purely aesthetic purposes Now, thanks to advanced technology and improved research, various forms of braces have been invented, including a clear form. This allows for minimal visibility of the braces along your teeth. 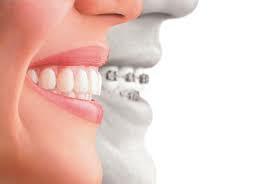 Braces allow for straightening of your teeth for both visual and useful purposes. 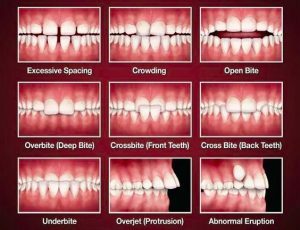 This means if you have any structural issues within your mouth, braces can help correct these as well. If you’re debating whether you’d most benefit from clear or metal braces, let’s compare both of these options in detail below. Clear braces operate identically to metal braces in the fact they are fastened to your teeth with a composite resin. Clear bands are then attached to the tooth and tightened every four weeks. The use of clear braces can benefit plenty of individuals who need braces but don’t want the look of metal against their teeth. For obvious reasons, the most positive reason for receiving clear braces is they’ll be significantly less visible then the traditional metal braces are. Additionally, these braces can drastically improve the look of your teeth over time, potentially faster than traditional braces can. 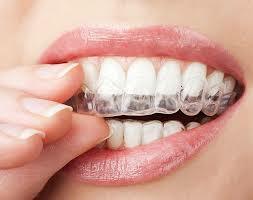 That’s because many clear braces operate on a sliding mechanism which allows for faster results. Another great feature about clear braces is they rarely require extractions. The goal of these braces is to get the fastest, most improved results possible, all while utilizing the natural shape of your mouth and teeth. Clear braces is an excellent option for individuals who desire straighter teeth but don’t want the potential chunkiness of metal braces. Metal braces are the most typical, common form of braces that exist. They have been used for hundreds of years, improved through time. Metal braces use all metal – this means there is metal attached to your teeth with a composite resin, and there are metal wires that connect these brackets to each other. Every four to six weeks, you’ll come visit us for a tightening. Gradually, your teeth will become pulled into its ideal place in the mouth. 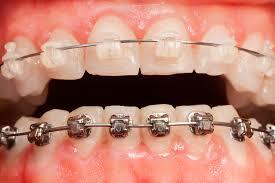 One negative about metal braces is how visible they are. 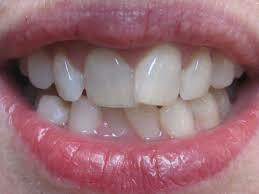 They stand out against the natural white color of the tooth ultimately making them significantly more visible. Alternatively, metal braces are the best for those with extreme oral conditions and misalignments. This is because orthodontists are able to easily manipulate the brackets to determine how your teeth will eventually lay in the mouth. Nothing is wrong with the original, so if you have a more severe case, don’t fret the metal! Even though the process may be daunting, braces can significantly benefit you and the way your smile looks in the long run. 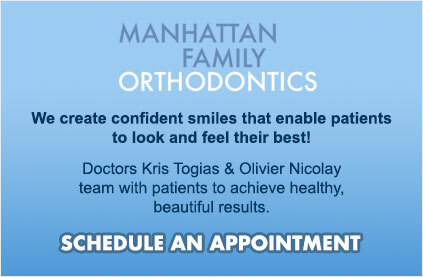 For a top orthodontist in NYC, Manhattan Family Orthodontics can help you out. Here, we can identify whether you’d benefit most from clear or metal braces and talk you through the entire process. Schedule an appointment with us today for the best teeth of your life! Are you or someone in the family looking to get braces in the near future? Have you been wondering about the best potential options and types of braces to receive? Often times when people first think about getting braces, they picture the traditional metal brackets and wires that were widely used in the past. Today, new and improved braces options have become available. One example of such is ceramic braces. If you’re widely unfamiliar with what ceramic braces are and how they can benefit you or a member of your family, learning about them will help you make an informed decision about whether or not they would benefit you. Let’s take a look at some of the key factors related to ceramic braces below! If you are familiar with how typical and traditional metal braces function, you know how ceramic braces work. 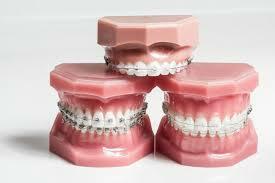 The only difference between the two forms of braces is the material that it is made out of. With ceramic braces, as the name suggests, the bracket material is made of ceramic and therefore matches the color of your tooth closer than metal braces can. This allows for a more invisible and sleeker look compared to metal braces. In terms of functionality, ceramic braces are fastened to the teeth with a form of composite. Wires are then connected to these brackets which gradually tighten each time you come for an orthodontist appointment, just like with traditional metal braces. There are many benefits that somebody can receive when looking to use ceramic braces. To start off, ceramic braces are less visible than traditional metal braces. This allows you or your loved one to feel less embarrassment or awkwardness they may experience when using traditional braces. Since they are the same color as your tooth, these braces will look much smoother and less noticeable. Additionally, ceramic is known to be a less abrasive material than metal. This could ultimately lead to less oral irritation than traditional braces normally induce. Lastly, in terms of the noticeability, ceramic braces cost less than other alternatives that show less against teeth, such as invisible aligners. If you’re looking for the sleekest, most cost-effective braces option possible, ceramic braces are a great option. With positives must accompany potential negatives of ceramic braces. While these reasons may not affect your choice to opt for ceramic braces, they are great things to know when looking to use them. First of all, it is important to note that ceramic braces can stain. This is due to the material of ceramic being lighter in color and more porous. This means if you eat or drink anything that typically stain clothes, it could stain your braces if you don’t properly brush your teeth after. Additionally, ceramic braces cost more than traditional braces might. This is important to note, as they function in identical ways. If you’re interested in hearing more about ceramic braces and want to schedule an appointment with the best orthodontist in New York City, contact Manhattan Family Orthodontics today! Here, we can help you identify whether or not ceramic braces is the best option for you or your loved one. Get the teeth of your dreams with us today! Often times, braces for kids is like a sign of growing up. 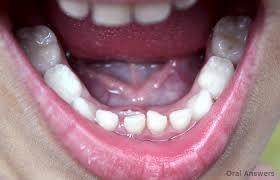 Some kids may need braces more than others depending on how severely angled their teeth are. Any parent is likely to have both questions and concerns about their child’s quest for braces. Let’s take a look at some of the most important details regarding your kid’s potential braces. 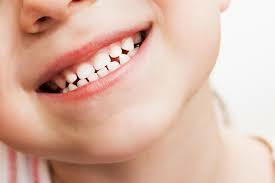 The type of dental misalignment that your child has will determine the type of braces that are received. Some kids may be ineligible for specific kinds of braces depending on how their teeth began to grow in. Nowadays, braces are becoming more accommodating for all kinds of dental forms, but some are still exclusive. To determine what kind of braces are best for your child, your child’s orthodontist will review different options for you. What Kinds of Braces are Available for My Child? 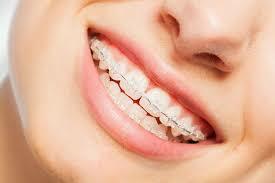 As mentioned previously, different kinds of braces are available for different dental and oral needs. 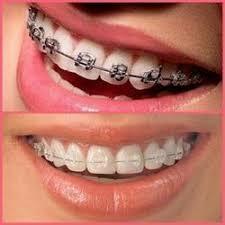 Over time, various forms of braces have become available. When you first picture braces, people often typically begin with a distinct picture in mind – wires and headgear. Thankfully, technology has advanced significantly, and other forms have been invented. 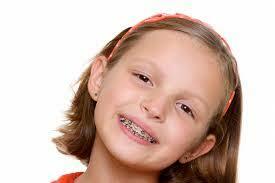 Those original braces are still in circulation, though, and may be the best fit for your child. Let us take a look at the different options available and the benefits of each of them. 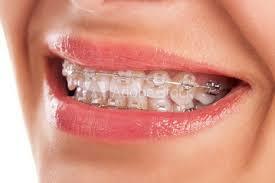 The most common thought of form of braces are the traditional metal braces. With these, we would attach metal brackets on each tooth with a composite resin. Wires are used to connect each of these brackets with another. Each appointment, we would tighten the wires slightly to pull your child’s teeth into the correct positioning. These braces are beneficial because they are the least expensive option and give your child the ability to express themselves with multi-colored bands. 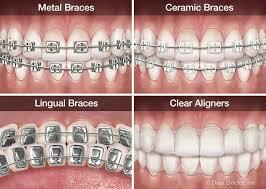 Nearly identical to the traditional metal braces, ceramic braces work in the same way and perform alignment identically. The main difference is the bracket and wire color match the color of the tooth. Within the past decade, a new form of braces has emerged. They are known as aligners, which act as retainers that shift your teeth. For this version, we will take a mold of your child’s teeth and computer graphically adjust their teeth for the most ideal alignment. After this is completed, a set of about 20 or so plastic trays, or aligners, will be created. Every two weeks, a new tray will be received. The great part about this option is the aligners are removable, nearly invisible, and allow your child to eat any food they wish safely. These are unsuitable for significant cases, though. A fourth, less common form of braces is rarely used on severe cases and can often be more difficult to adjust to. These use the same method as traditional metal braces, but they are placed on the inside of the tooth. These are great if your child has a mild case and don’t want to have any sign of braces or metal in their mouth. If your child is showing signs of crooked or misaligned teeth, it may be best to take them to an orthodontist to get checked out. A common misconception that parents may have is the belief that some children may be too young to visit the orthodontist, but this is not the case. All children’s oral conditions develop differently and across various time frames, so there is never a single age where you should bring your child to visit an orthodontist. If you’re ready to take the leap and have your child’s teeth straightened, contact us here at Manhattan Family Orthodontics to schedule an appointment with the best orthodontists in New York City! In the state of the current economy, people have gotten more concerned for where they’re spending their money. Because of this, a first concern that often arises when you’re told that either you or your child needs braces is the money that this will cost you. There is no single price or formula that can be given when trying to figure out how much your specific braces will cost – only your orthodontist can figure this out. There is, though, an average cost of braces for each type of option on the current dental market. 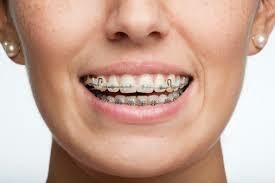 Depending on the type of braces you receive, the price may differ significantly. Let’s take a look at some of the most common forms of braces and their respective costs associated with them. Traditional braces are those which use metal brackets fixed to the front face of your tooth, along with metal wires that gradually tighten to pull your teeth into the proper shape. This is the typical idea or image that comes into most peoples’ mind when they think of getting braces. Depending on what state you are located in, the price of this form of braces can vary. Typically, according to the Consumer Guide to Dentistry, this form of braces can cost you anywhere between $3,000 and $7,000. Nearly identical to traditional braces, ceramic braces work in the same way. The aspect that differs is the color. Ceramic braces are made with a material colored to match the shade of your tooth. This allows you to seemingly have no braces. For this method, you’ll typically pay $500 – $1,000 more than you would for traditional braces. 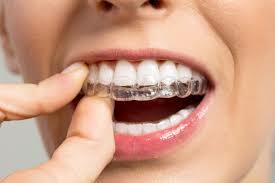 Dental aligners, otherwise known as retainers, fit snugly over your teeth and act like a mouth guard would. The difference, though, is that you are given approximately 20 different trays, one every two or so weeks, that are shaped slightly different than the previous. This will gradually shift your teeth into place without the look of traditional metal braces. Depending on how many trays that are needed for your teeth, you’re looking at a price of $3,000 to $6,000 for the entirety of the treatment. The latter, though, is more so the average across the nation. If you’re concerned about the amount that your or your family’s braces will cost you, come chat with us here at Manhattan Family Orthodontics! We, as one of the best orthodontics in NYC, can sit down with you and help you figure out the best course of treatment for both your oral condition and your wallet. If you’re interested in speaking, contact us today to schedule an appointment! Do you need adult orthodontics? It’s never too late to perfect your smile! If you’re self-conscious about your smile but nervous about getting braces at your age, have no fear. There are plenty of adults that receive orthodontic care after they grow older! You’re never too old for braces. In the past, orthodontics used to be seen as mainly for tweens and teenagers. Now, there are plenty of options for adults to receive braces and still maintain their confidence and productivity. Having a straight, beautiful smile can help you increase the way you feel about yourself and ensure your oral health is as positive as can be. Considering braces as an adult? Let’s take a look at some of your options. One of the most common type of braces for adults are traditional metal braces. Traditional braces involve metal brackets compositely fixed to the teeth, connected with metal wires. Every four to six weeks, we will tighten your wires. This will gradually pull your teeth into place. Because of this, these are the cheapest option available and require the least time commitment every month. Adults have busy schedules, so it’s important to make sure appointments aren’t missed. The more you miss an appointment, the longer you’ll need to keep your braces on. Traditional braces are a great option for adults who aren’t worried about the look of metal on their teeth and want the cheapest option possible. As mentioned previously, new options for braces have become apparent, specifically catering more to adults than in the past. Clear aligners are used as a way to straighten your teeth with little to no look of braces. This means that they are practically invisible. When you first set an appointment to get aligner trays, we will take a mold of your mouth and computer graphically shift your teeth to look the best they can be. Every few weeks, you’ll receive a new set of trays that move your teeth like traditional braces do. These aligners fit similarly to retainers. Aligners are great options for adults who don’t want to have a mouth of metal and for individuals who are great at sticking to a schedule to ensure the proper changing of aligners each time. Getting braces at an older age is different than getting them at a younger one, as there may be more at stake. This means that it’s important to prepare for getting your braces and be aware of the focus you’ll need to put towards them. First of all, braces require time and patience. You won’t see results overnight, so be prepared for months of treatment.  This means you’ll have to make time to schedule monthly appointments with your orthodontist. Additionally, watching what you consume is a significant factor in maintaining your braces. If you eat any sticky or hard foods, it could damage your braces and lead to more money. Lastly, focus on how you brush your teeth. With braces, there will be more nooks and crannies where bacteria could be hiding, so flossing and brushing becomes exponentially more important. After your time with braces, this hard work will all be paid off and you’ll have a straight, aligned smile. If you’ve been waiting for braces for some time and have looked into what it takes to get them, it’s time to schedule an appointment with the finest orthodontist in New York City. Manhattan Family Orthodontics can help you with all of your orthodontic needs. Be sure to call us to schedule an appointment today! Most people are familiar with dentists and what they do, but for some reason, the work of orthodontists still remains shrouded in mystery for many. However, some of the myths surrounding orthodontic treatments are not only false but could prevent people from seeking treatment in the first place. Here are some of the most common myths about orthodontic treatment that need to be dispelled. False! While it may have been true a long time ago when orthodontic treatments used to be painful, things have changed greatly. With new advances in technology and new techniques introduced regularly, braces and other treatments are much less painful then they once were. Again, not true. There are some dentists that offer certain orthodontic treatments, however, only orthodontists have taken the extra two to three years of formation to become certified orthodontists. It wouldn’t be wise to risk your smile and overall appearance by cutting corners and going for a non-board-certified orthodontist for your treatment. Orthodontists provide a special service and have to come up with specialized treatment plans for each of their patients, so their fees will usually be a reflection of the case’s complexity. Some cases might be simple and take a few months and others might take years but working with a qualified orthodontist is well worth it. The average orthodontist will offer free consultations along with flexible payments structures for those who need it. While the actual treatment will start working on your teeth as soon as its installed, you won’t be able to see any perceptible changes for a while. And in some cases, you might even see new spaces appearing. However, at the end of the treatment, your alignment issues should be completely resolved. Another common misconception is that once your misalignment issues are resolved, the results will be permanent. However, this is not the case. Misalignment issues are usually caused by factors that continue to affect the patient for the rest of their lives. This is why you will usually be asked to keep wearing a retainer at night to help keep your teeth aligned following your treatment. Now that we’ve dispelled some of the most common myths surround orthodontic treatment, you should consider meeting with an orthodontist to see if it’s truly the solution for you. Contact us today to schedule a free appointment with the best Orthodontist in New York.